Your Windows operating system attempts to detect situations in which your computer appears to be completely frozen and then attempts to dynamically recover from the frozen situations so that your desktop is able to respond again. This process of detection and recovery is so-called TDR (Timeout Detection and Recovery). This error could be caused by a bug related to your graphics card. 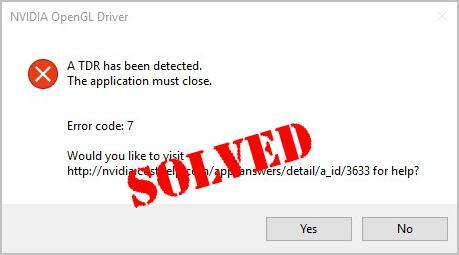 NVIDIA keeps updating drivers and when it receives bugs usually there would be a fix in the future driver update. When you’re having the ‘A TDR has been detected’ error, we recommend updating your NVIDIA graphics card driver to the latest version. 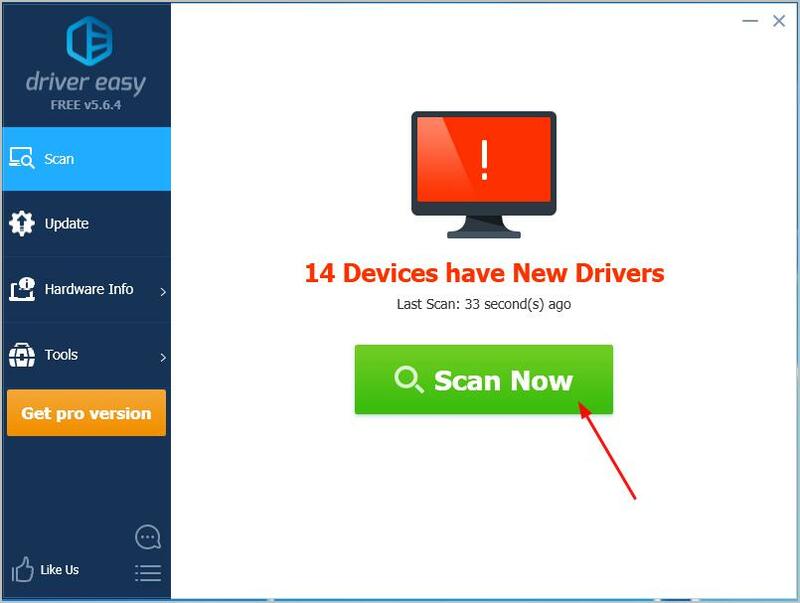 Whether you choose to update the device drivers manually, using Windows Update, or you use a trusted third party product, it’s essential that you have the latest correct device drivers for your operating system at all times. 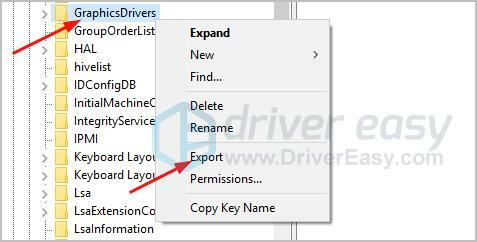 If you’re not comfortable playing with device drivers, we recommend using Driver Easy. 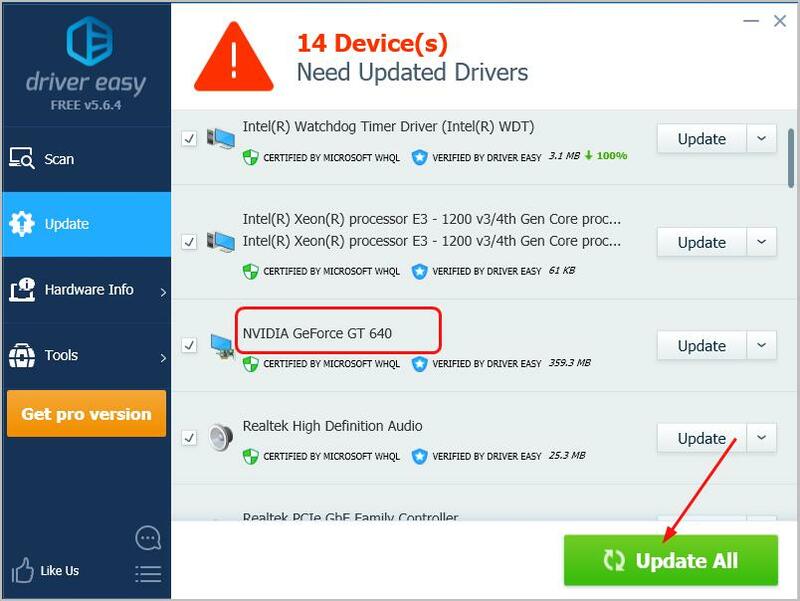 Click Update All to automatically download and install the correct version of all the drivers that are missing or out of date on your system. (This requires the Pro version which comes with full support and a 30-day money back guarantee. You’ll be prompted to upgrade when you click Update All.) Note: You can also do it for free if you like, but it’s partly manual. Once you update your graphics card driver, try to open your game application or Illustration to see if the error disappears. 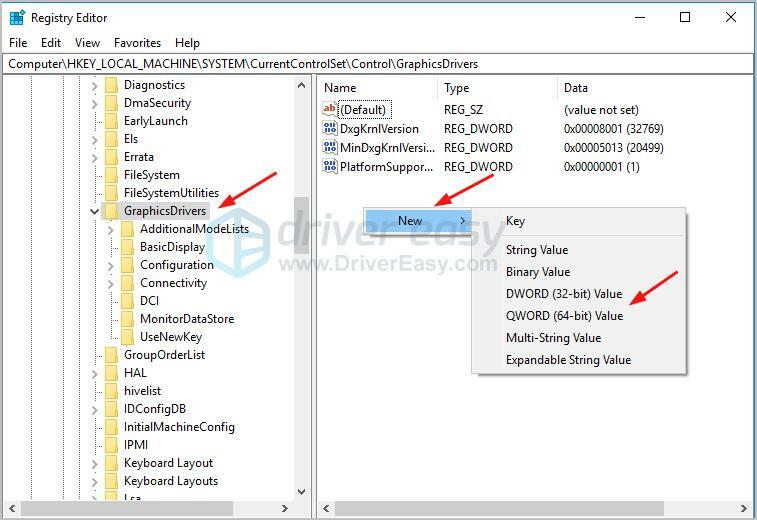 Another method to fix the ‘A TDR has been detected’ error is to increase the timeout of your graphics device. 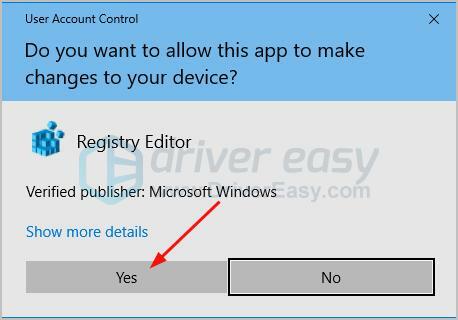 Exit all the running apps and programs on your Windows system. On your keyboard, hold down the Windows logo key then press R to bring up the Run box. Proceed to select a backup folder and name the backup file. 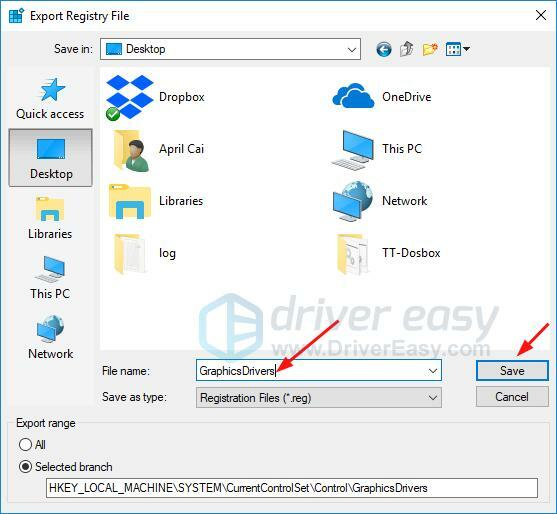 Once you complete to backup, back to the Registry Editor window, click GraphicsDrivers, then right-click on the Edit pane of GraphicsDrivers to select New. 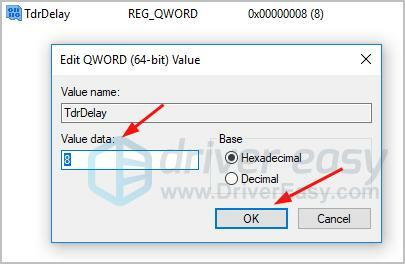 If your Windows system type is 64-bit based, click QWORD (64-bit) Value. 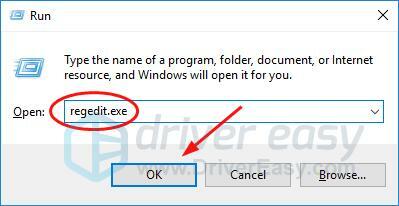 If your Windows system type is 32-bit based, click DWORD (32-bit) Value. Set the name to TdrDelay and press Enter. Double-click TdrDelay. Then set its Value data to 8 and click OK.
Once you do, close the Registry Editor window, then try to open your game application or Illustration to see if the error disappears. Hopefully this article helps you. Feel free to comment below with your own experiences and share it with your friends if they’re having the same problem.